Head to lunch in style with the UltiMate cooler bag! 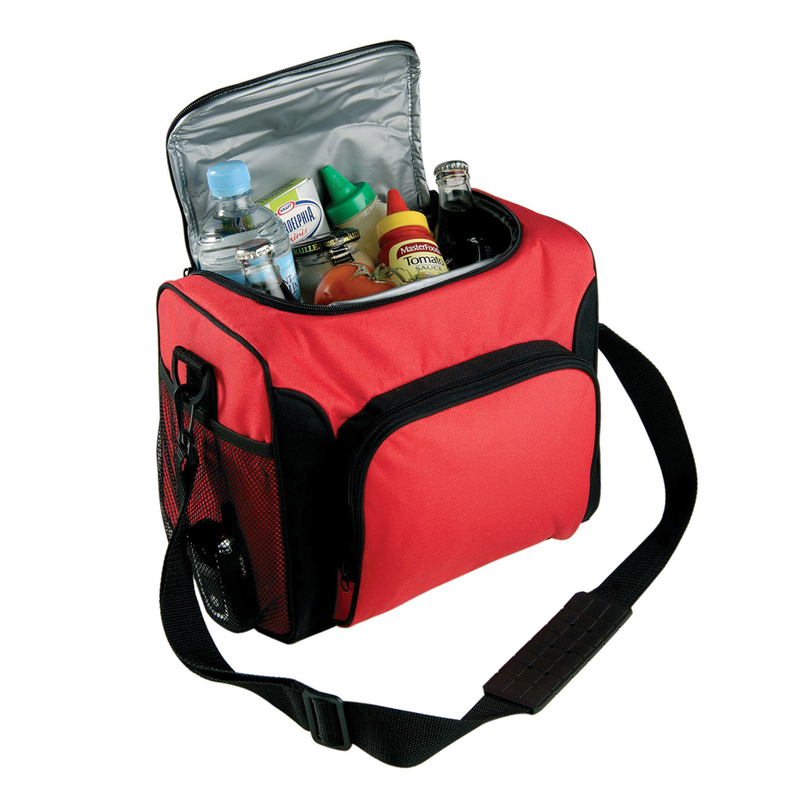 Use it for camping, picnics, work, beach trips, traveling, and many more! 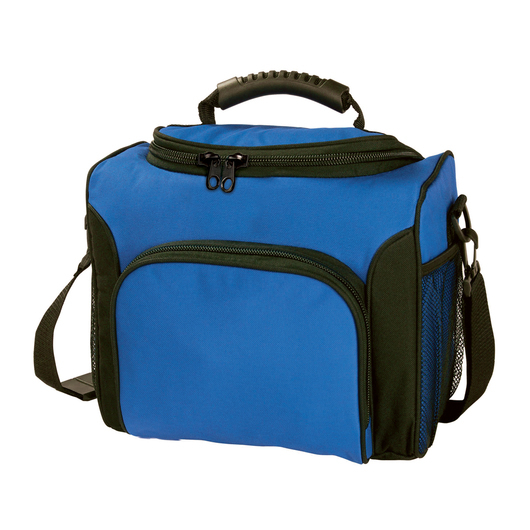 This cooler bag is the perfect companion for your outdoor adventures. Grab its heavy duty handle and off you go. Manufactured from durable 600D polyester, it has a carrying capacity of 13.5 litres. 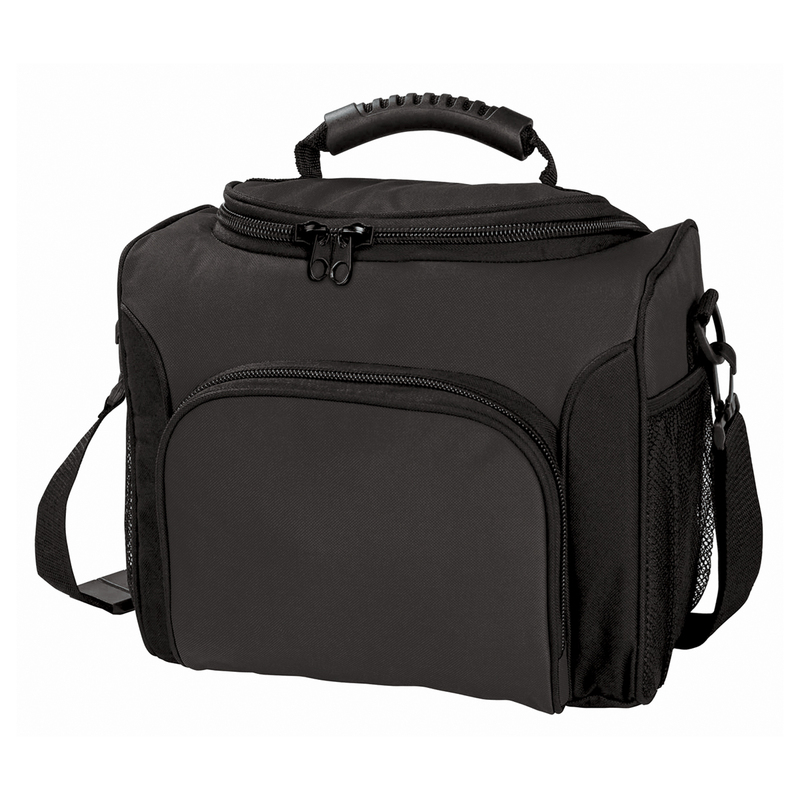 It features an adjustable shoulder strap, heavy duty moulded rubber handle, easy double zippered U-shaped access to main compartment, large front pocket, and 2 handy elasticated end mesh pockets. Excellent for camping trips, picnics, at the beach, or while travelling.